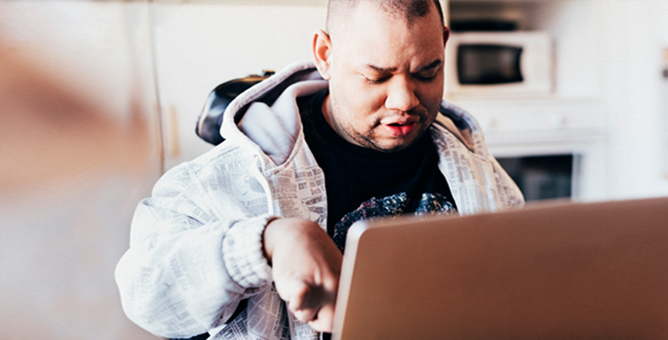 With NJ ABLE, you can save for qualified disability expenses without losing your eligibility for certain assistance programs, like SSI and Medicaid. Save with special tax advantages. The earnings on your investments are federally tax-deferred and tax-free, if used for qualified disability expenses.1 That can help your savings compound, earning returns on your returns. Balances of $100,000 or less are excluded from your SSI resource limit. Only the amount OVER $100,000 is counted against your limit, along with assets held in non-ABLE accounts. Just tell us a little bit about yourself and select your investments. That's it. You can easily access your account at any time, from a PC, tablet, or mobile device. Plus, you can get started with as little as $25. The annualized investment costs on assets per investment option range from 0.34% to 0.38%, depending on which investment option(s) you select. Each Account is charged an account maintenance fee of $15 each quarter. This fee can be discounted by $3.75 if you select email delivery for statements and confirmations. Contribute more with Earned Income. Account Owners should keep adequate records to ensure the limit is not exceeded. Any increase in contributions could impact tax obligations, so consult a tax advisor before making any such increase. If you are eligible, fill out the Self Certification form. Eligible individuals can open the account for themselves, or an authorized individual can open an account on their behalf. There are a few requirements that individuals with disabilities must meet to be able to have an account. You have a similarly severe disability with a written diagnosis from a licensed physician that can be produced if requested. AND you must have a written disability-related diagnosis signed by a physician. What are Qualified Disability Expenses? These are ANY expenses that are incurred as a result of living with a disability and are intended to improve your quality of life. The earnings portion of the withdrawal will be treated as income, so it will be taxed at your tax rate, and will be subject to a 10% federal tax penalty and applicable state taxes. Do I have to prove eligibility? Do I have to prove that withdrawals are for qualified disability expenses? Not at the time of the withdrawal. Annually, NJ ABLE will report the total amount of your withdrawals to the IRS and the date and amount of each of your withdrawals to the Social Security Administration. In the event that either entity wants to verify the expenses, it’s recommended that you keep detailed records. Can I have more than one NJ ABLE account? No. You're limited to one ABLE account, except in the case of a rollover from another qualified ABLE program. This extends beyond NJ ABLE to include accounts in other ABLE programs. In the case of a rollover to an ABLE account for the same account owner, the account from which the funds are withdrawn must be closed within 60 days of the withdrawal. Up to $15,000 per year. No further contributions may be made until the start of the next calendar year. Account balance limit: $305,000. Can friends and family make contributions into my account? Absolutely. Anyone can contribute directly to your account. No matter who contributes, you, the account owner or authorized individual, retain control over the account. How often can I change my investments? What is a recurring contribution? These are contributions of a specific amount made automatically into your account on a custom frequency basis. For example, you can set up recurring contributions of $25 per month. This makes the process of investing very simple. What is a Systematic Exchange? This automatically moves funds from one investment option to another. What is a Systematic Withdrawal? This is a way of making automatic withdrawals, such as when you'd like to use your account to make payments each month. You can make systematic withdrawals to the bank listed on your account, by mail to your address, or to a third party. An asset or item purchased with the hope of a gain in the future. I am working and earning income – can I contribute more than the $15,000 limit? 1Earnings on non-qualified withdrawals may be subject to federal income tax and a 10% federal penalty tax, as well as applicable state and local income taxes. 2Please see the Plan Disclosure Documents for complete details on SSI suspension and any requirements on when you use the funds, to prevent suspension of benefits. 3Upon the death of the designated beneficiary, all amounts remaining in the qualified account not in excess of the amount equal to the total medical assistance paid for the designated beneficiary after the establishment of the account, net of any premiums paid from the account or paid by or on behalf of the beneficiary to a Medicaid Buy-In program under any state Medicaid plan established under title XIX of the Social Security Act, shall be distributed to the state that made such payments upon filing of a claim for payment by such state. Open a NJ ABLE account now. For more information about NJ ABLE (the "Member Plan"), call (888) 609-8869, or visit nj.savewithable.com to obtain Plan Disclosure Documents, which include investment objectives, risks, charges, expenses, and other important information; read and consider it carefully before investing. The Member Plan is sponsored by the state of New Jersey and administered by the Department of the Treasury and the Department of Human Services. The Member Plan is one of the qualified ABLE plans issued by the National ABLE Alliance. Ascensus College Savings Recordkeeping Services, LLC, the Program Manager, and its affiliates have overall responsibility for the day-to-day operations, including investment advisory, recordkeeping and administrative services. The Member Plan’s Investment Options are allocations to mutual funds, ETFs, banking products and/or other investments. Except for the Checking Option, investments in the Member Plan are not insured by the FDIC. Interests in the Member Plan are municipal securities and the value of your Account will vary with market conditions.